A Delicious North Indian recipe with egg. 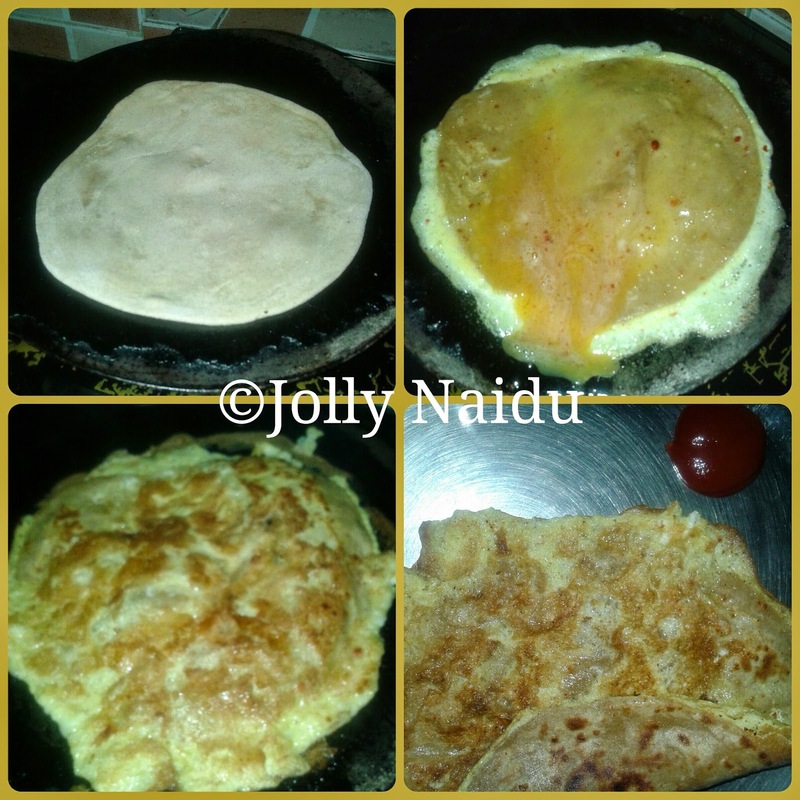 Egg paratha is very easy, simple and quick recipe. This is best meal for breakfast. This is best combination with tomato sauce or chilli sauce. For this recipe, we need less ingredients and other Indian spices. This is Egg-tarian recipe. 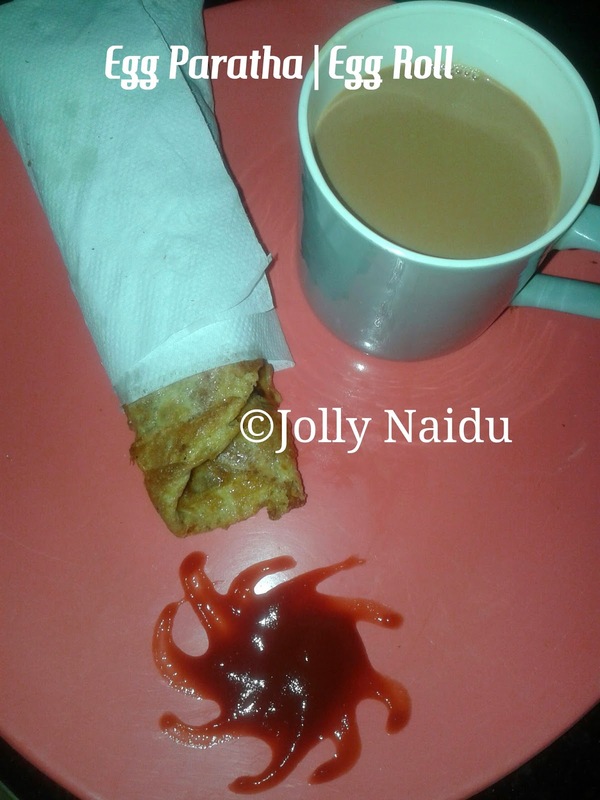 In this post, I am sharing the recipe of Egg Paratha / Egg Roll or my own twists with this recipe. 1. Beat two eggs well and add all indian spices like salt to taste, red chilli powder, pepper and keep it aside. 2. Take a wheat flour dough and divide the dough into small balls. 3. Roll each balls into paratha shape and place on a flat pan / tawa, Bake one side of the paratha without oil. 4. Roll out the Paratha and Spread the beaten eggs batter through out the Paratha. 5. When the eggs get boiled, turn the paratha and fry with oil on both the sides until golden brown. 6. Repeat steps 1 to 5 with rest of the other balls. 7. Serve hot Egg Paratha with Tomato sauce or chilli sauce depend upon your taste. 1. For this we need to take a pan, heat 1 tbsp of oil, add veggies like green capsicum, bell pepper, onions and sauté for few minutes. 2. Add salt to taste and red chilli powder. Toss it well. At end add your taste of sauce in this either red chilli or tomato and again tossed it well. Your veggies is prepared. 3. Make a Egg Paratha as shown in the above steps, add the veggies in it and roll out the paratha and Serve it ! !